It is absurd that after threatening again and again the Venezuelan People with a military intervention, persistently affirming that “every option is on the table”, the US government attempts to show that it is been threaten by Venezuela. 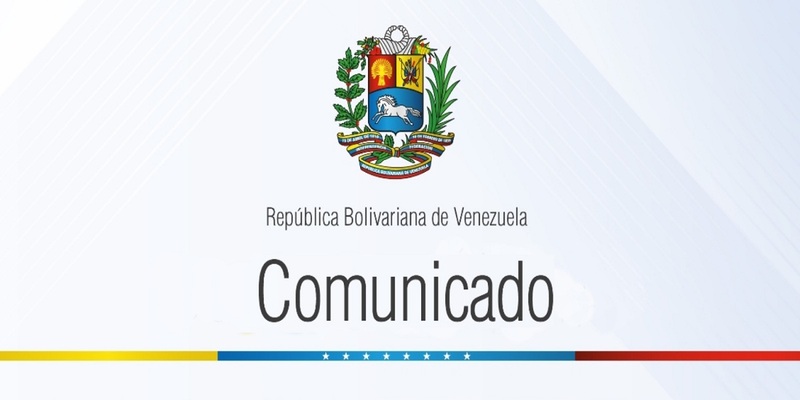 The Bolivarian Government of Venezuela denounces the dangerous hypocrisy by Donald Trump’s supremacist government and urges the international community to condemn this new attempt to mask the illegal actions by the United States intended to overthrow the legitimate and constitutional government of Venezuela with the sole purpose of taking over the natural resources of the country. Such threats by Trump’s Administration have roused a powerful movement against war and in solidarity with Venezuela, even within the US people itself; therefore, the Venezuelan People reiterates its will to continue fostering the historical relations of brotherhood and solidarity with the traditionally peace-loving dignified People of the United States who will never support the infamous ruling elite’s delusions, which is permanently marred by blunders and political scandal. Both peoples together will be able to stop this new imperialist attack by Washington against the free people of the Bolivarian Republic of Venezuela.